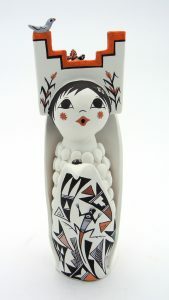 Time-honored Pueblo pottery traditions of working with clay and telling stories have merged into a modern art form: “Storyteller” pottery dolls. 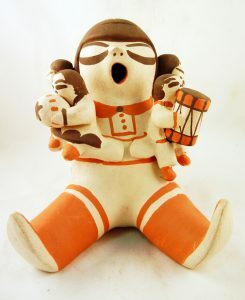 The art of making clay effigies is as ancient as the Anasazi peoples, who inhabited the deserts of New Mexico many centuries ago. In recent history, it is the Cochiti Pueblo potters who are known for clay effigies depicting many different aspects of everyday life. Yet, it was not until 1964 that Helen Cordero of Cochiti Pueblo created her first “Storyteller” figure. Cordero’s storyteller model was her grandfather, who gathered his grandchildren around him to play the drum, sing songs and tell stories of their heritage and traditions. 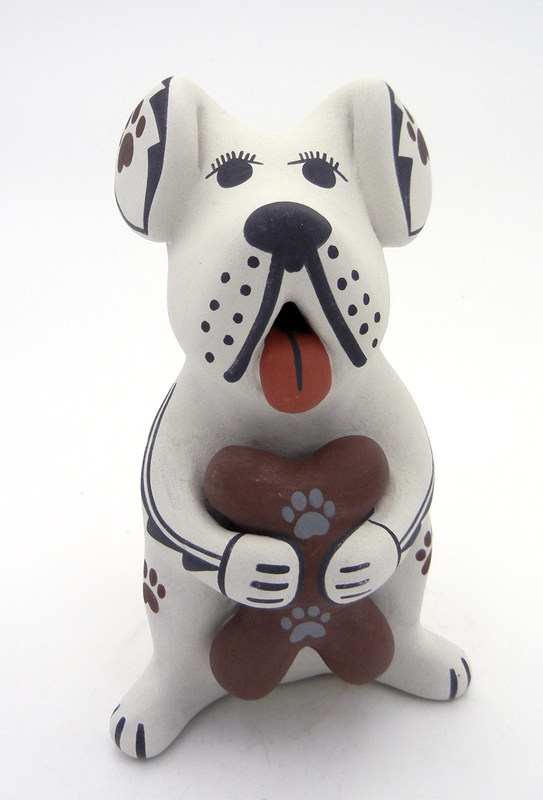 It is estimated that there are well over 200 Pueblo potters now creating Storytellers, and of these, quite a large number are Cochiti. Every potter has his or her own special clay, technique, tools and colors that are used to create these symbolic figures. Other popular Storytellers are of other than human forms, such as a variety of animals, corn maidens, etc. 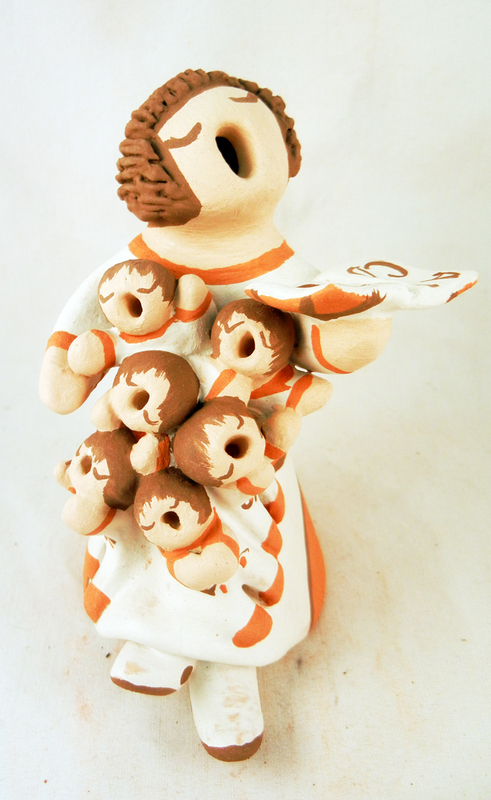 Native American potters also create a “Nacimiento.” (Nativity Scene) depicting their interpretation of the birth of the Christ Child. Prices of Storytellers vary from a few dollars to several thousand dollars depending on the popularity, fame and awards their maker has accumulated and won in art shows, galleries and fairs, as well as the intricacy of the piece and how well it is made.